TyreLAND have tyres to suit the New Zealand lifestyle, whether you drive city streets, mountain roads or need to tow a boat to the beach. TyreLAND’s staff have the knowledge and expertise to advise and fit the best tyres for your car. We’ll find out how, when and where you drive and help you select quality tyres to suit your budget. When it comes to adventure, TyreLAND will fit your SUV with tyres to suit your kind of terrain. We will recommend, source and fit tyres to keep you safe and comfortable whether you journey on road or off. Wet weather or dry, TyreLAND will ensure your SUV will go the distance fitted with the best tyres for the job. 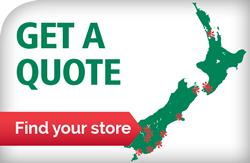 Hardworking, tough and up for any challenge, TyreLAND supply the tyres New Zealand farmers need. We provide expert knowledge and quality tyres that farmers can rely on in any kind of weather, on any kind of terrain. We service all your farm tyre needs from tractors and trucks to all kinds of heavy machinery. TyreLAND accept CRT and Farmlands Cards as a good way of doing business. When you need tyres for towing heavy loads in difficult terrain and over long distances, TyreLAND have the goods. TyreLAND specialise in supplying and fitting tyres for commercial and heavyweight haulage vehicles. We supply high quality tyres specifically designed to handle tough loading conditions while providing maximum comfort, performance and fuel efficiency. From construction sites to city streets and mountain passes TyreLAND will help you carry the load.